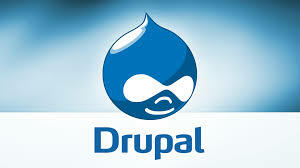 Suffered a spam attack on your Drupal site? You are in good company. Even with Mollom installed, your site can be overrun faster than a dog with fleas. To get rid of the thousands and thousands of spam comments, you have two choices. To delete spam directly at your MySQL database, you will have to log in to your hosting service. Then use phpAdmin to find the right table. And truncate the table to clear out all the comments. I haven’t tried this but proceed logically and it should work. You need two clicks at the top and you must confirm the list. It takes a little time and it is probably quicker to delete the table but this was more satisfying and can remain in the background to clean up smaller spam attacks in future. I had a similar problem. Despite turning off comments, I’ve had 1000’s of spam comments on my posts. I’m yet to figure out how to stop them from posting inspite of disabling comments. They were not showing up on my site as they had to be verified. But it’s a huge wastage on my resource. This will clean up unwanted comments. PS: The advantage in my case was I did not give a free hand to post comments and they needed an approval. Hence it was easy to remove all those that were not verified and approved.